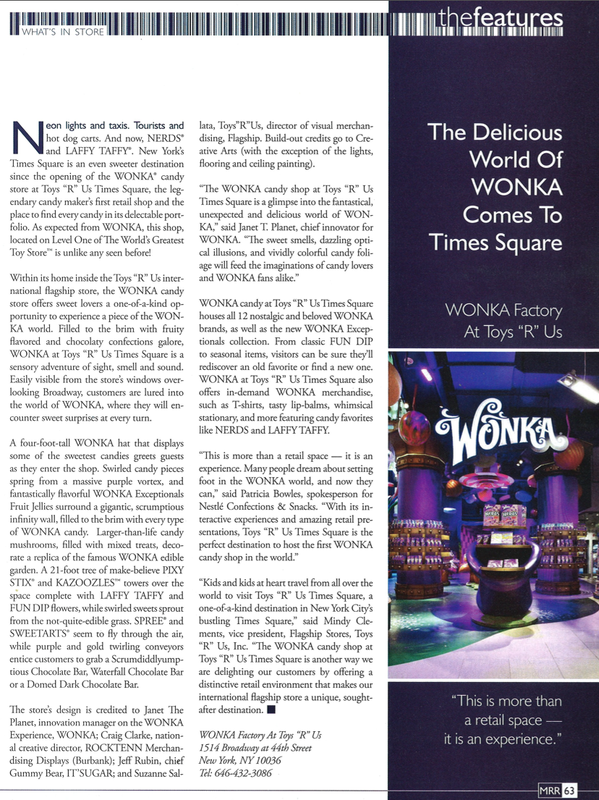 Feature article on the WONKA Store in Times Square. Mann Report Magazine, Vol. II, Issue IV.